This is an introduction video that describes the structure of the series. In this episode we are going the take a quick look at the application that we are going to build using Angular 6 and Spring Boot. In this episode, you will get familiar with the Spring Boot application, that will act as API for the Angular one. You will get to know the structure of this application, what endpoints it exposes and how to make HTTP requests to it from an app in a different domain. You will also learn how to import an Angular project in IntelliJ. In this episode you will learn how to add css dependencies to Angular projects. 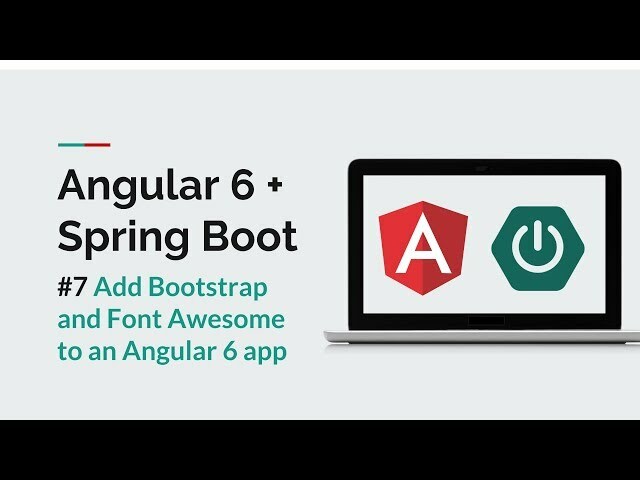 We will download and install Bootstrap and Font Awesome using npm. Then, we will register the css files in styles.css file. In this episode you will get familiar with the default Angular project structure. You will understand the roles of the most important files and folders and this will help you navigate each Angular project from now on. In this episode, you will discover the basic concepts of Angular components. Angular components are pieces of functionality that control part of the screen. They contain logic, template (view) and styles. The most important thing to take away is that in Angular, the whole application is just a big component tree. - understand the Angular "validation syntax"
This video is a step by step guide that covers the installation and configuration of IntelliJ 2016 for the development of Spring Boot applications. It is aimed at developers who have never used IntelliJ and who are new to Spring Boot. This tutorial will show you how to create a Spring Boot project, how to choose your dependencies and how to run your Spring Boot application from the IDE and from the terminal. 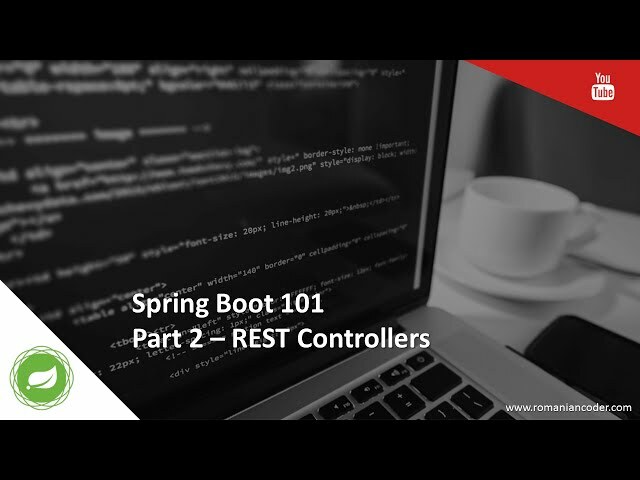 This tutorial will show you how to create and use REST controllers in a Spring Boot web application. This tutorial will show you how to use JPA repositories to execute commands against various databases in a Spring Boot application. This tutorial will show you how to integrate and use the Thymeleaf template engine with Spring Boot applications. This tutorial will show you how to integrate a server side Spring Boot application with the client side logic built using AngularJS. This tutorial will show you how to document your REST endpoints using JSONDoc. Documenting REST services allows your users to better understand how to use your API. This tutorial will show you how to configure your Spring application at run-time by using the application.properties file or by adding command line arguments when starting your application. - No need to restart the container when you make changes to views. Any modification you make to a view can be seen directly in the browser, by pressing the refresh button. Thymeleaf, Freemarker, Groovy Templates, Velocity and Mustache are all supported. - Automatic restart of the Spring container each time you modify a Java class. Any classpath file changes will automatically trigger an application restart that is faster than a cold restart. In my case, it takes half the time. - Live reload integration. Manually clicking the browser refresh button each time something changes might become a little tedious. Spring Boot Dev Tools includes an embedded LiveReload server. LiveReload is a simple protocol that allows your IDE to automatically trigger a browser refresh whenever a change is detected. So, with Spring Boot Dev Tools, you never have to lose time and restart your application after each change. 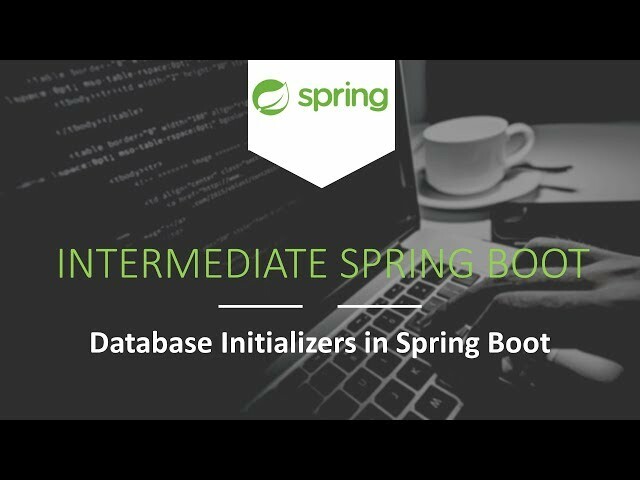 The video illustrates two approaches for initializing a database in Spring Boot. This is an introductory how-to video on Kotlin and Spring Boot. If you want to use them in production, then I encourage you to check out other resources and learn them in depth. Discover how to create Spring Boot projects using multiple Maven modules and to keep your code-base more organised in the long run. This step by step tutorial will show you how to publish a Spring Boot application on a Tomcat server as a WAR package. By default, Spring Boot applications are published as JAR files and have an embedded container that hosts them. However, you might need to deliver your web application as a WAR file and to deploy it on a standalone container like Tomcat or Jetty. By following this video, you will see how easy it is to transform a standard Spring Boot application in order to meet this requirement. In this tutorial, you will find out why MongoDB queries are important, where to go if you want to install MongoDB and the basic concepts of Mongo: the document, the collection and the database. 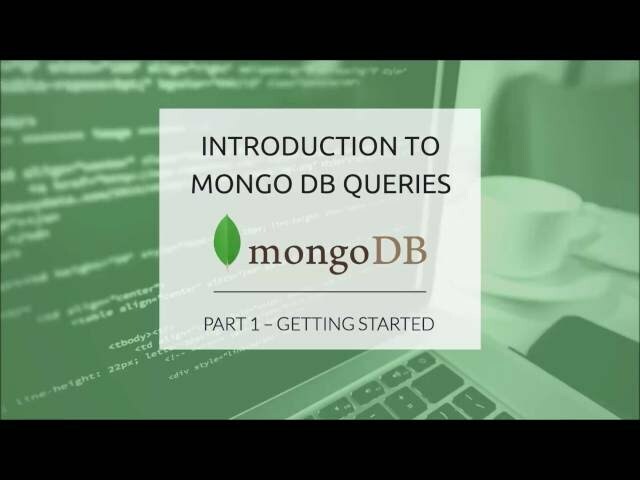 In this video, you will learn how to manage database and collections in MongoDB using the Mongo query language. You will become familiar with the create, list, and drop commands. This tutorial will show you how to insert MongoDB documents into existing collections and how to display them on the screen. In this tutorial, you will learn how to can apply filters on Mongo DB documents, in order to retrieve the data that you are interested in. We shall check out the equality filter, available operators, compound filters and sorting. MongoDB provides the db.collection.find() method to read and filter documents in a given collection. Queries can return all documents in a collection or only the documents that match a specified filter or criteria. You can specify the filter or criteria in a document and pass as a parameter to the find() method. MongoDB also provides the sort() function, if you need to order documents from a query. In this tutorial, you will learn how to update existing MongoDB documents. MongoDB provides the update() and save() methods to modify a document in a collection. The update() method update values in the existing document while the save() method replaces the existing document with the document passed in save() method. This tutorial will focus on the update() method. In MongoDB, the update() method can modify specific fields of an existing document or documents or replace an existing document entirely, depending on the update parameter. By default, the update() method updates a single document. Set the Multi Parameter to update all documents that match the query criteria. In this tutorial, you will learn how to remove one or multiple documents from a MongoDB collection.